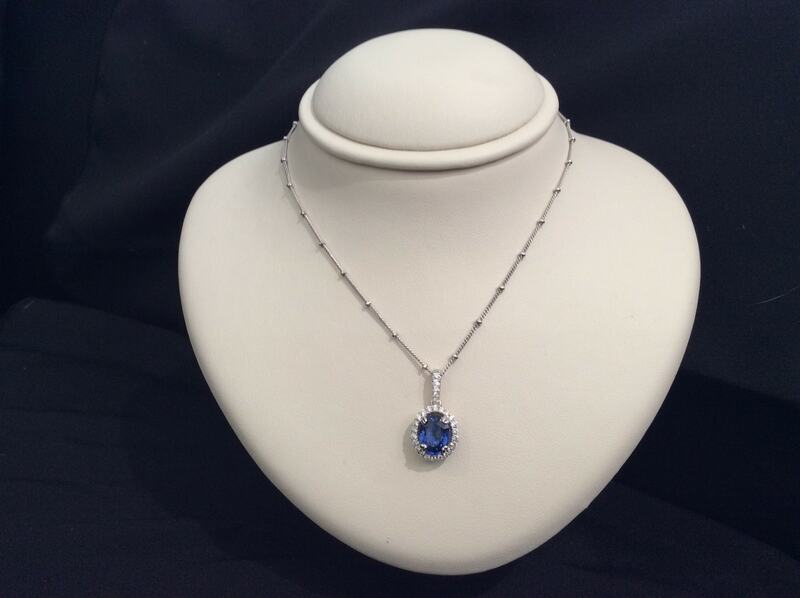 Fine Ceylon sapphire and diamond pendent created in 14k white gold. 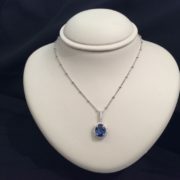 2.14 carats sapphire and .32 carat diamond. Platinum bead style chain.